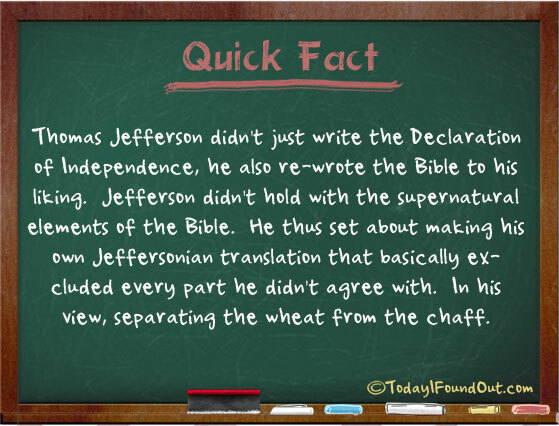 Thomas Jefferson didn’t just write the Declaration of Independence, he also re-wrote the Bible to his liking. Jefferson didn’t hold with the supernatural elements of the Bible. He thus set about making his own Jeffersonian translation that basically excluded every part he didn’t agree with. In his view, separating the wheat from the chaff.